The classic batch of instrumentals from J Dilla – one that strongly transcends the hip hop genre – and perhaps his rawest, and most adventurous listening experience ever! The loopy soul samples, rich synth/electro shine, and thumping bass and soul beats that Dilla largely made his name on are laced throughout, but he also takes things a step into stranger territory – with spacey elements that buzz as much as they groove! The cuts are never less than soulful and funky, and never really steps into his peer Madlib's brand of the weeded out style, either. We love how raw this all feels, too! 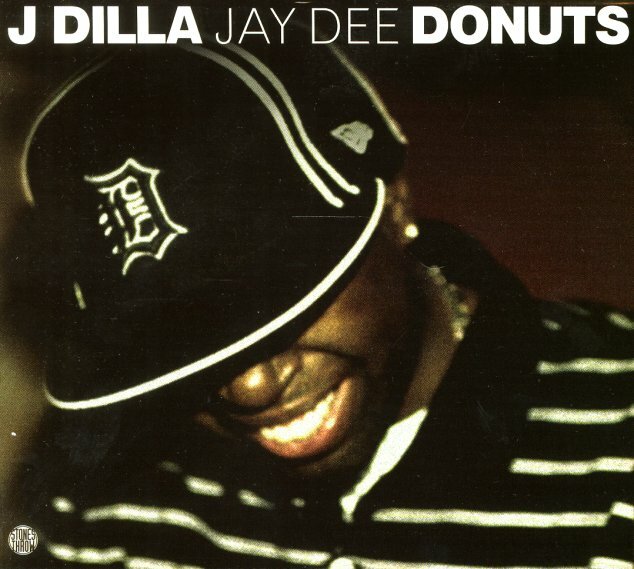 It's easily identifiable as the work of Jay Dee, but at the same time, wholly unpredictable! One of the best releases that Stone's Throw ever released – instrumental or vocal! Includes "Donuts (Intro & Outro)", "Workinonit", "Waves", "Light My Fire", "People", "Mash", "Airworks", "Lightworks", "Stepson Of The Clapper", "One Eleven", "Don't Cry", "Geek Down", "Thunder", "Gobstopper", "Walkinonit", "U-Love", "Last Donut Of The Night" and more. © 1996-2019, Dusty Groove, Inc.